Shipyards and designers unveil their latest concepts, from the radical to the traditional. As test beds for new ideas, yacht concepts vary from the outrageous to the cautious. 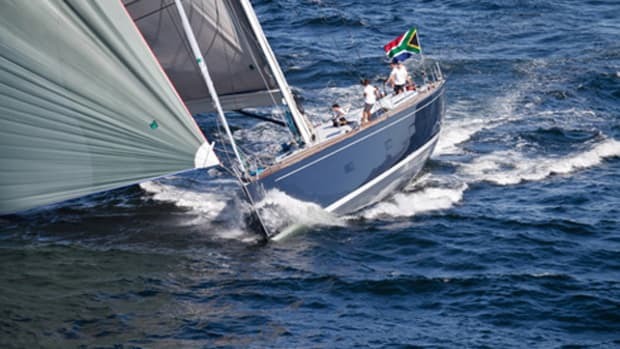 Some set out to wow yachtsmen with audacious aesthetics, others to woo with the latest technologies. The best designs usually incorporate a delicate balance between cutting-edge and conservative solutions. 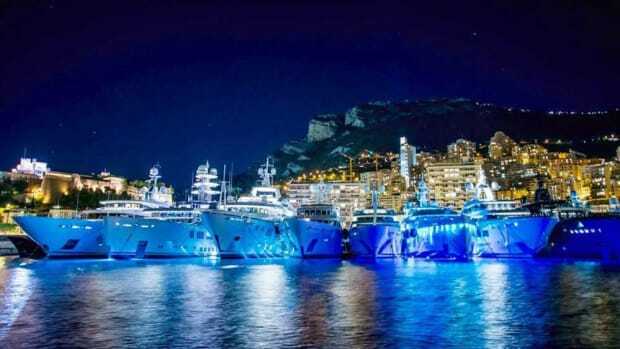 Here are our picks of the best buildable concepts presented at the Monaco Yacht Show this past September. Benetti’s design language has traditionally placed high value on brand recognition, and its fleet is usually recognizable from afar. The Se77antasette project, a reference to the yacht’s overall length of 77 meters (252 feet), is a decisive break with this tradition. 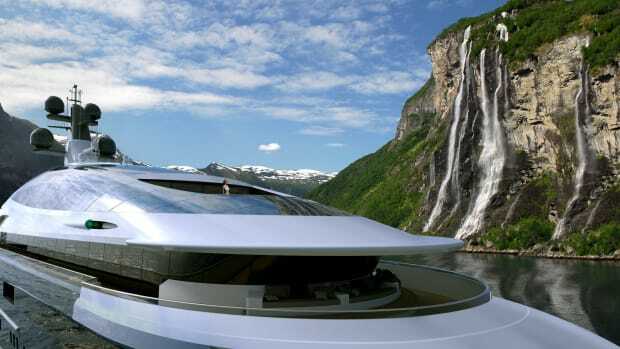 The radical design is the first yacht concept by Mexican designer Fernando Romero, who heads up the award-winning FR-EE architecture and design firm, responsible for landmark buildings such as the Museo Soumaya in Mexico City (funded by Romero’s billionaire father-in-law, Carlos Slim). 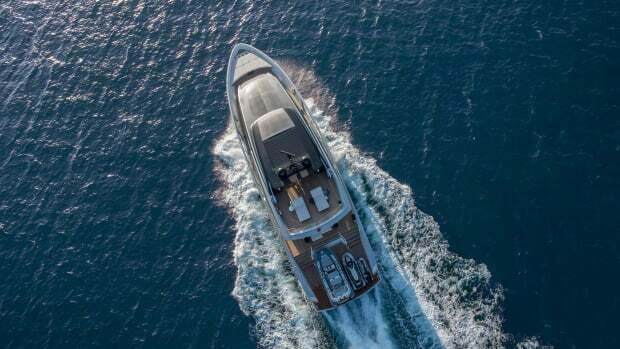 “Se77antasette is the result of analyzing the DNA of Benetti and thinking further on the possibilities that new technologies have enabled, allowing us to create an entirely new yachting experience,” said Romero, whose concept drew on his lifetime experience of cruising Mexico’s Sea of Cortez with family and friends. Key features include sculpted proportions and an extensive use of glass, each a nod to Romero’s experience in land-based architecture. A glass dome encases the top-deck observatory, providing intimate contact with the sea and sky. The dome also houses the unsightly sat-comm and navigational equipment, so as not to interrupt the exterior profile. At night, the dome can transform into an augmented-reality screen. Se77antasette would be equipped with a diesel-electric propulsion system: variable-speed generators coupled to counter-rotating propeller pods powered by permanent magnet motors. 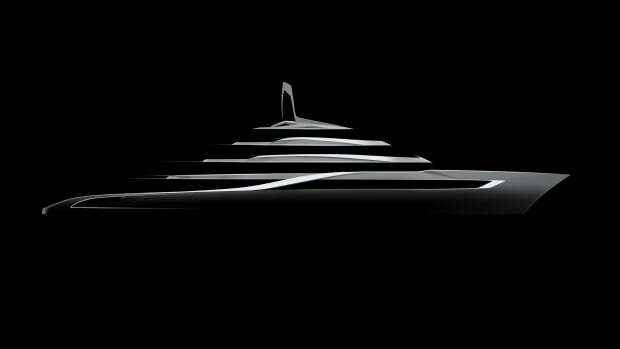 After three years of research and development, Benetti says the project is engineered and ready to build. Royal Huisman in The Netherlands is renowned for its custom sailing yachts, from modern classics like Meteor to the J-Class racer Hanuman and the performance cruiser Ngoni. The yard’s only motoryacht to date has been Arcadia, a hardy 117-foot explorer with classic styling launched in 2006. 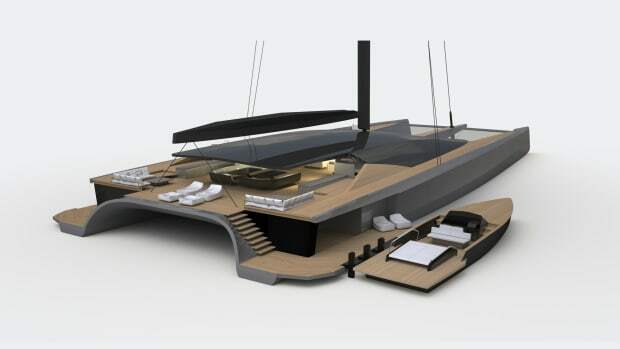 The Dutch builder is keen to create more, and its retro-styled Project Marlin, created in collaboration with Frers Naval Architecture and Stirling & Co Interior Design, is a step in that direction. 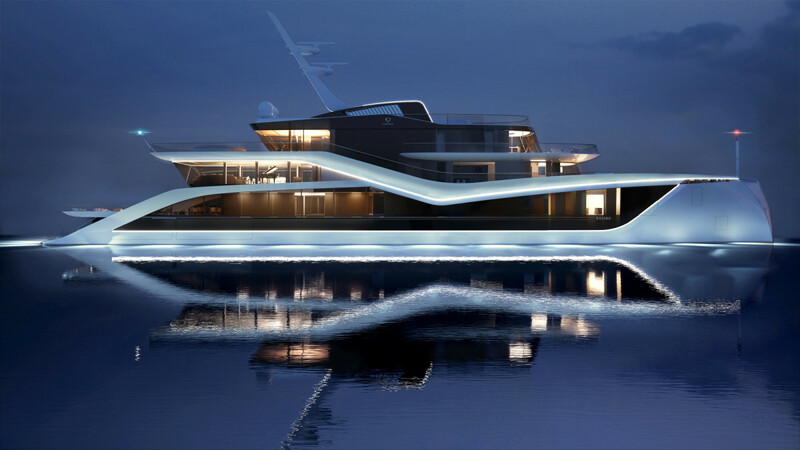 A scale model of the 161-foot (49.3-meter) motoryacht showed off her graceful lines, which recreate the glamor and romance of yachting with a modern twist. 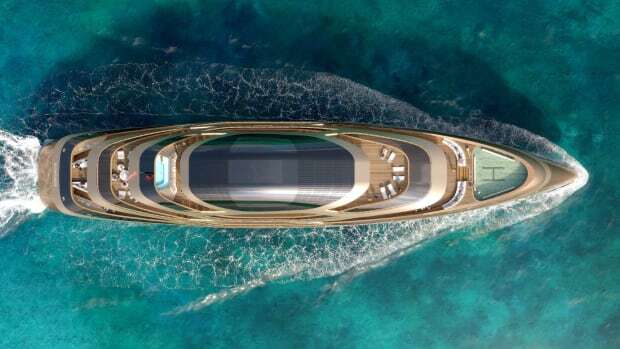 Conceived for an experienced yachtsman, she would be a moderate displacement yacht of less than 500 gross tons, capable of 17 knots when powered by two 850-horsepower Caterpillar engines. Marlin’s 6-foot draft would allow her to explore shallow cruising grounds as well as oceans. Arranged over three decks, she accommodates as many as 12 guests, plus 11 crew. A top-lit staircase connects all three decks, and an elevator can be fitted as an option. Interior spaces include a full-beam owner’s suite on the main deck with a companion’s cabin, office and private foredeck. “Within the elegance of Germàn Frers’ timeless exterior lines, the spacious layout and interior design of Marlin is a present-day interpretation fusing the graceful design of a gentleman’s commuter yacht of the golden century of motoryachting with 21st-century technology,” says Oliver Stirling, principal of Stirling & Co.
Rome-based Exclusiva Design is a multidisciplinary design firm taking its first steps into superyacht territory. 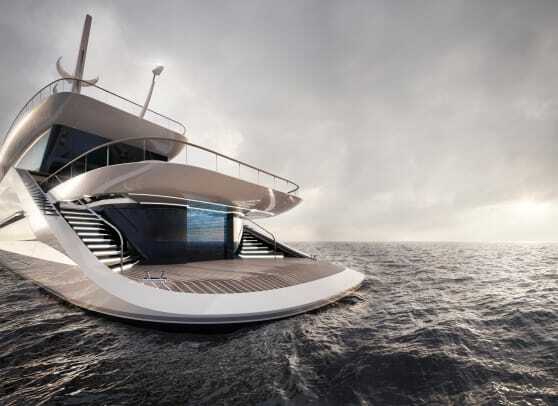 Its 236-foot (72-meter) Bolide concept is a joint venture with Tankoa Yachts of Genoa, Italy. The Italian boldismo movement in design, which focused on the themes of speed, technology and dynamism, inspired Bolide (Latin for missile or meteor). The concept’s standout feature is the fact that as much as 70 percent of the exterior surfacing is glazed. As a structural material, glass tends to keep marine surveyors awake at night, and the design team is in ongoing discussions with the classification societies to ensure structural integrity. 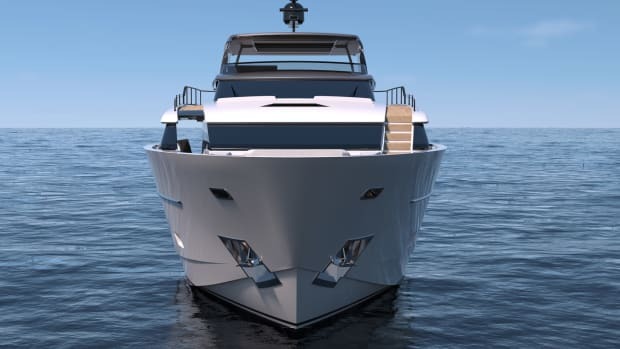 For propulsion, Tankoa chose conventional drive shafts based on the technical platform of 227-foot (69.3-meter) Suerte, launched in 2015, but the shipyard is building a 164-foot (50-meter) motoryacht with hybrid propulsion, and the team is looking to scale up the same system for the Bolide concept. 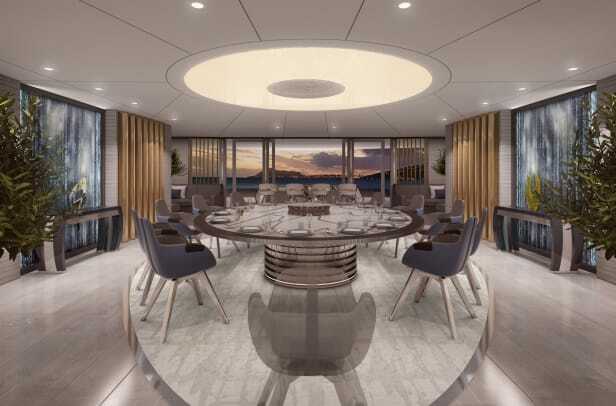 Mike Reeves and James Claydon are partners in the U.K.-based Claydon Reeves design studio, which teamed with Italian super-yacht builder Fincantieri to unveil a concept known simply as Linea. 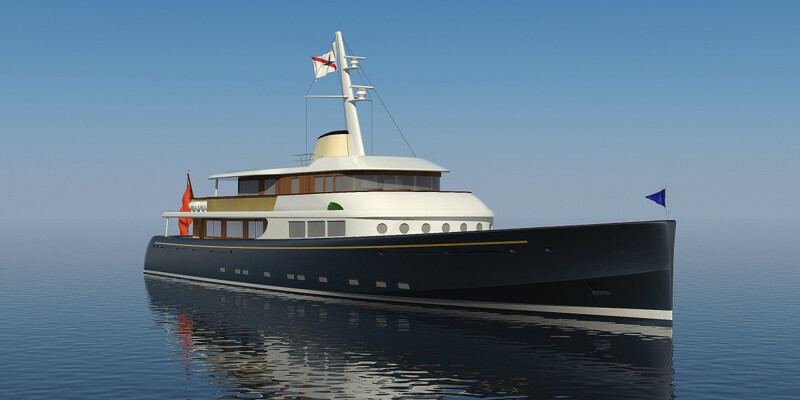 The aim was to create a superyacht that embodied classic Italian tradition, combined with a modern design sensibility. 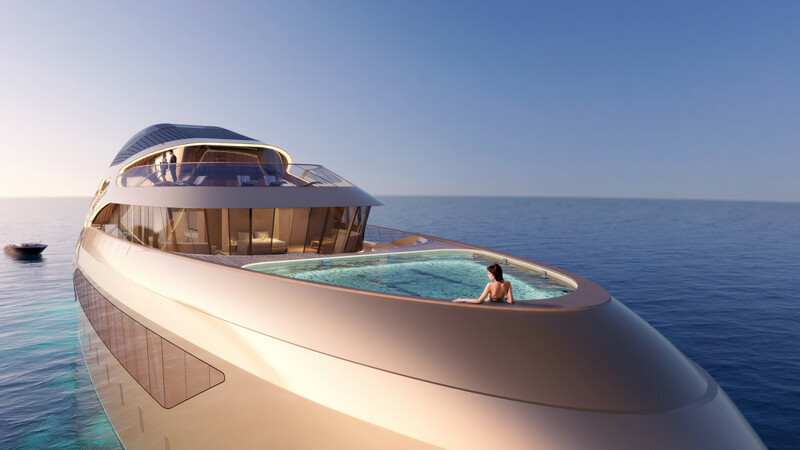 The 295-foot (90-meter) concept would present no technical issues for the Italian megayacht builder, responsible for projects such as Serene and Ocean Victory, each well more than 430 feet length overall. 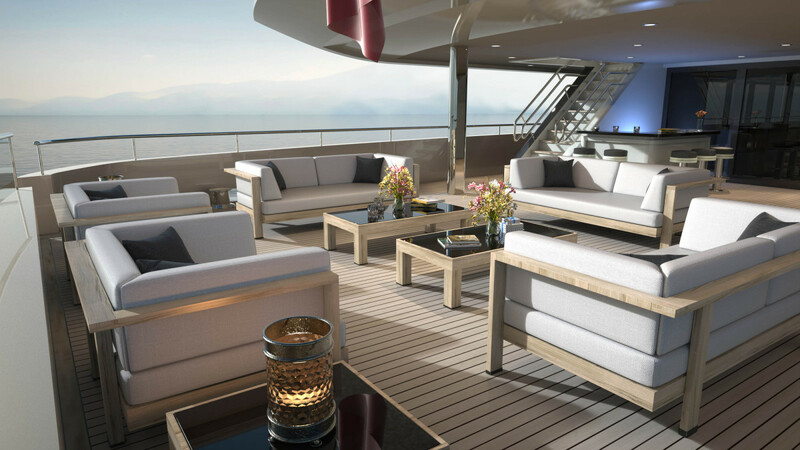 On the main deck, the main theme is social interaction played out in a seating area that cantilevers off the stern. The amphitheater-style plunge pool with surround seating has an open-air cinema screen that can be viewed from the pool. When the yacht is at anchor, folding balconies and shell doors can be deployed, but arguably the key feature is the private foredeck with hot tub and helipad, accessed directly from the owner’s suite. 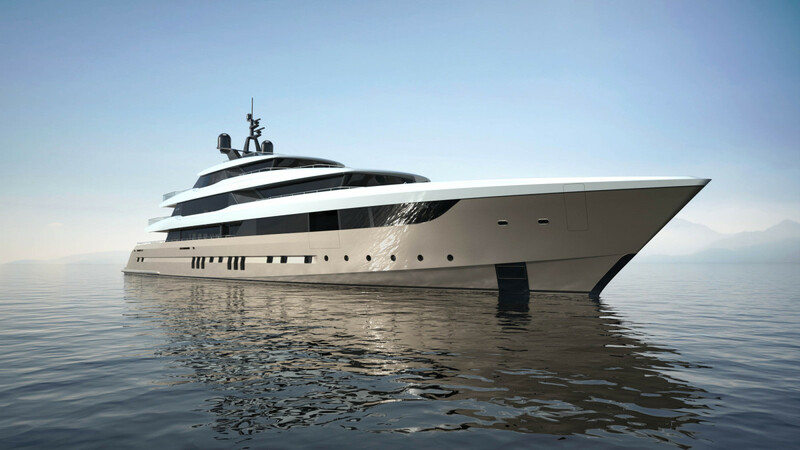 To date, Baglietto has focused on the 98- to 164-foot (30- to 50-meter) size range, but its 230-foot (70-meter) Sestante concept, in collaboration with Mulder Design, shifts its ambitions to another gear. Dutch designer Frank Mulder was asked to preserve, yet reinterpret Baglietto’s design DNA in a project that would become the brand’s flagship, as part of its T-Line displacement series. 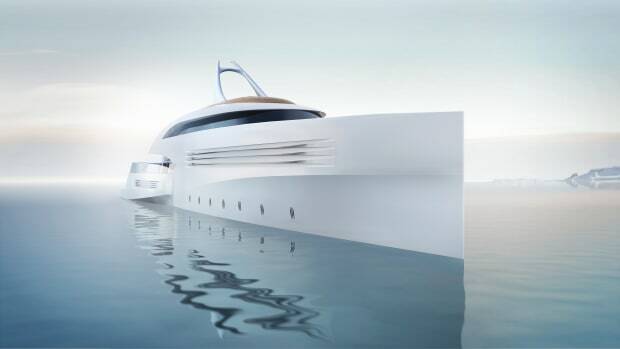 The result is a concept with seductively svelte exterior lines and naval architecture based on Mulder’s high-speed cruising hull for enhanced stability, seaworthiness and efficiency. By studying and optimizing the flow of water using computational fluid dynamics, Mulder designed a hull with an efficient combination of shape, bulbous bow and transom immersion to lower resistance over a wide speed range without the loss of onboard comfort. Fuel efficiency can be achieved by specifying Voith Linear Jet propulsion combined with hybrid or diesel-electric propulsion. Depending on the power package, top speeds of up to 25 knots and a range of 7,000 nautical miles at 12 knots can be achieved. 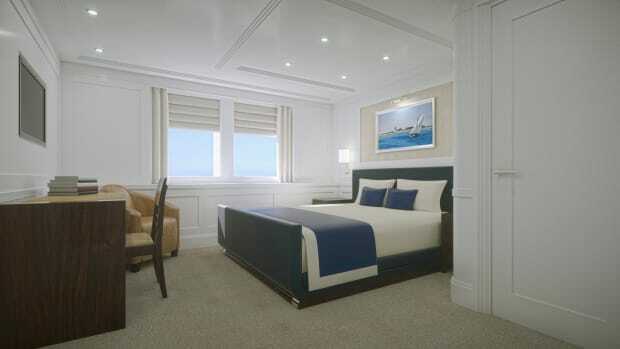 The master stateroom has a private deck with a hot tub, while the VIP staterooms allow panoramic views from balconies. 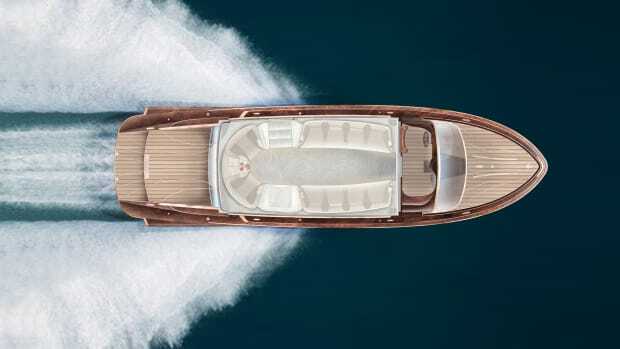 A touch-and-go helipad is available forward, and two tenders can be stowed in the garages aft, one to port and the other abaft the teak beach.